1. Is it allowed to license the ODA on NUP´s ? Spoiler alert: yes, this is allowed. 2. Is it allowed to license with different metrics within 1 ODA, e.g. 1 node on NUP’s and the other node processor-based? I’ll try to explain and answer the two questions in the next chapter. 1. Is it allowed to license the ODA on NUP´s ? This question may be well known to some of us, but for the context of the second question and the new model x5-2 it’s worth mentioning. The Documentation is not completely clear about this. In a former version of the documentation it was stated as: “Customers are only required to license processor cores”. That phrase disappeared in the current documentation somehow, but is still valid: licensing on processor cores, but not processor metric! 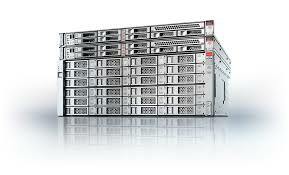 What database licenses are required for the Oracle Database Appliance X5-2? –> Answer: The Oracle Database Appliance enables customers to purchase database licenses using a capacity licensing model. Therefore, customers are only required to license processor cores that they plan to use. Oracle recognizes a practice in the industry to pay for server usage based on the number of CPUs that are actually turned on – the “Capacity on Demand,” or Pay as You Grow” models. Oracle allows customers to license only the number of cores that are activated when the server is shipped. Note: Oracle does not offer special licensing terms for server usage models where the number of CPUs used can be scaled down or their usage varied – the “Pay Per Use” or “Pay Per Forecast” models. There is no “licensing” requirement to license ODA with any specific metric. Whichever metric they can stay in compliance with, based on their usage, they can license by that. So, yeah, it’s possible to license by NUP´s. Now there are more opportunities to use the ODA in development or testing environments..
–> 8 cores x 0,50 (core factor) x 25 (min.users per oracle processor for database usage) = 100 users. 2. Is it allowed to license 1 node on NUP’s and the other node processor-based? When both nodes within the ODA act as each other’s data-recovery environment, than they must be licensed with the same metric. Is one node acting as a production server and the other as a test server, than the nodes are allowed to differ from metric. So it’s allowed to license one server on NUP’s and the other one as processor. But, as always, for questions about your definitive configuration, contact your local Oracle Representative. Thanks for an interesting blog post Job! I disagree with this LMS statement though and wonder what it’s based on. I have been told multiple times by Product Management that the “10 day fail-over rule” can be applied to ODA (since each node is connected to shared storage in a single data center) so I would have thought you could still do fail-over (for up to 10 days/10 occasions per year) even if one node (or its ODA Base if you’re using ODA VP) is licensed by Oracle Processor (for production) and the other by NUP. Of course if a node fails you may well find the second node has insufficient cores to run both production and test databases adequately, in which case you may have to sacrifice some test databases until the first node had been repaired, so it won’t suit everyone. Until February 2019, Job worked as a solution architect at AMIS Services with a special interest in Oracle licensing, High Availability architectures and managing complex (Oracle) environments, which includes Cloud environments. With a background as Oracle developer, DBA, team-manager and license-consultant he is able to utilize the Oracle technologies to a cost-efficient architecture for his customers. - Unlimited License Agreements (ULA). - License compliancy-checks and advice regarding optimizing the environment. - Education / presentations about licensing and managing your infrastructure in the most cost-efficient manner.